Compression Springs | Compression Springs | American Precision Spring American Precision Spring Corp. Compression Springs are open-coil helical springs that offers resistance to a compressive force applied axially. Compression springs are usually coiled as a constant diameter cylinder. Our compression springs can be used in a variety of applications varying from medical devices to automobile engines. Our engineers are design experts who can customize each spring design to meet your specifications. We work with a wide variety of materials. We manufacture a wide range of springs with open, closed, square and ground ends. We have precision coilers with capabilities of double diameter, double pitch, precision sizing probes, torsion attachments, and more. 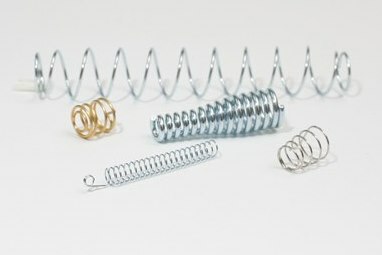 As one of the Bay Area’s leading compression spring suppliers, American Precision Spring has the right tools to efficiently manufacture and deliver the springs you need for your project. Our goal is be your best compression springs supplier. Contact us today to learn more about our compression spring manufacturing capabilities.